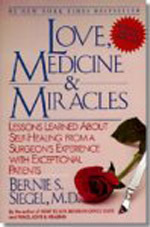 Love, Medicine & Miracles: Lessons Learned about Self-Healing from a Surgeon's Experience with Exceptional Patients | Bernie Siegel M.D. 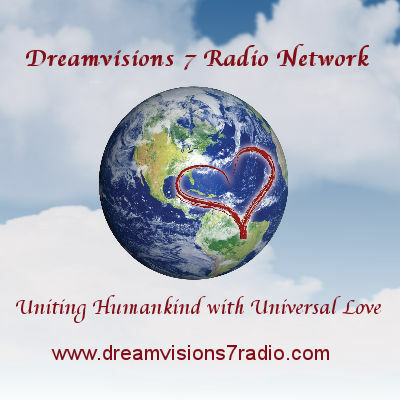 Unconditional love is the most powerful stimulant of the immune system. The truth is: love heals. Miracles happen to exceptional patients every day–patients who have the courage to love, those who have the courage to work with their doctors to participate in and influence their own recovery. "Siegel, a New Haven surgeon, believes that the power of healing stems from the human mind and will, that his scalpel only buys time against cancer, and that self-love and determination are more important than choice of therapy. His philosophy has caused radical changes in his practice. Siegel recounts many arresting anecdotes: joyous stories of patients who survived against all odds, sad chronicles of those who seemingly gave up and assented to their own deaths. 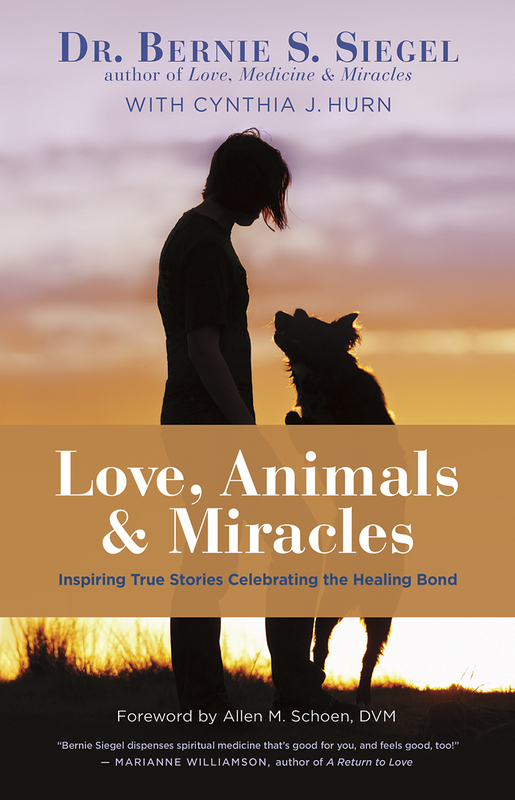 The author's credentials make this one of the more plausible books on the mind-body connection." "Run, don't walk, to the nearest bookstore and get this amazing book that explains how you can 'think' yourself sick or well . . . Every family should have a copy. It can be a lifesaver."